Unleash your inner wizard with this magical piece of official Fantastic Beasts merchandise. This officially branded design comes on a boyfriend style fit ringspun cotton T-shirt. These garments are mostly 100% ringspun cotton - however please be aware that the colours with a heather finish (Sport Grey, Dark Heather etc) are a polycotton blend (exact percentage of polyester varies dependant on colour). 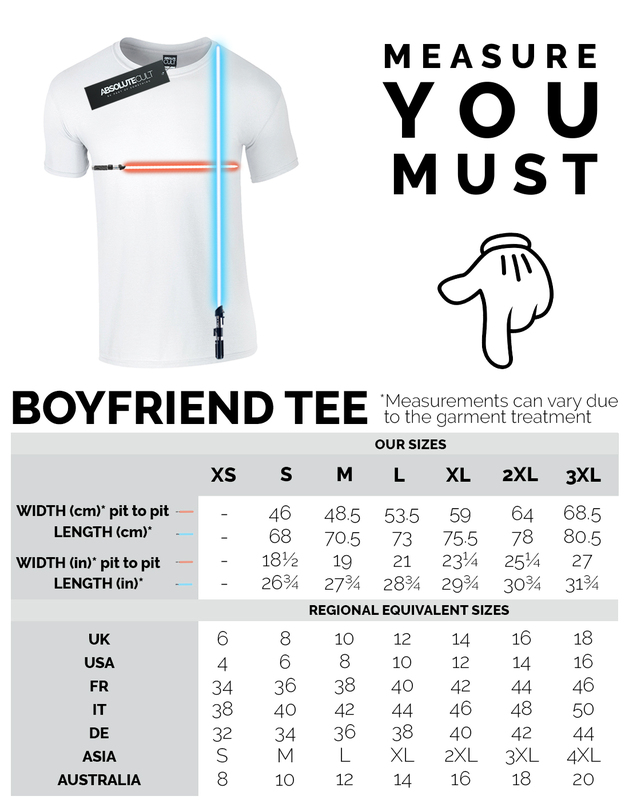 Please note this T-shirt comes with a looser fit - please refer to the size guide in the pictures for reference. If you're after a slim fit style for a tighter, more fitted look, we'd recommend ordering our regular women's fit T-shirt. Officially branded merchandise with all authorised licensor branding, packaging and labelling. 165gsm mid-weight garment suitable for wearing all year round. Super soft ring spun cotton t-shirt with an oversized boyfriend fit for a relaxed and casual look. Crew neck with cotton & lycra rib and single needle stitching. These garments are relaxed for a boyfriend fit.